SuperGIS Server starts to provide Geoprocessing Service from SuperGIS Server Standard Edition. Besides basic functions like dynamic map, static map tile, data editing and etc, SuperGIS Server adds Geoprocessing service. Geoprocessing service contains diverse function categories, such as feature geometry analysis, data conversion, data management, data statistic and so forth, and each category offers dozens of basic processing functions. SuperGIS Toolkit in SuperGIS Desktop is the most flexible tool which provides hundreds of basic processing function for users to select and apply on-demand and to meet the various custom requirements. Besides, according to different requirements, users can additionally purchase analyst extensions like 3D Analyst, Spatial Analyst, Network Analyst, Spatial Statistical Analyst and so on. Hence, developers can customize their websites with more professional functions. 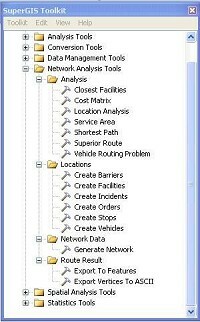 The following paragraphs will introduce how to utilize Network Analyst in SuperGIS Toolkit to customize their network analysis functions. “Shortest Path” is used to be the example here. Basically, as long as you get Network Analyst license in your SuperGIS Desktop, you are allowed to apply Network Analysis functions of SuperGIS Toolkit. 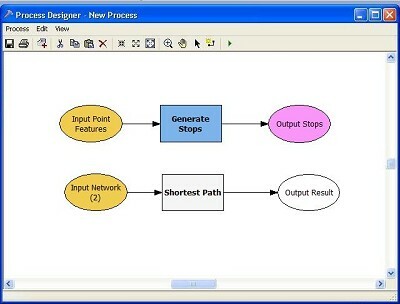 If you don’t have license, you can design process of path analysis function in Process Designer, save the designed process as a project of SuperGIS Desktop, and implement the designed process in other SuperGIS Desktop environment with Network Analyst license or publish service through SuperGIS Server Standard with Network Extension or higher version. Before designing network analysis function, users need to create a new toolkit in SuperGIS Toolkit and name it. Under this new toolkit, users can add new group or new process. The process mentioned here can be a single analysis function and even a specified function set composed of a series of functions. And a Process Designer window for new process pops up if you add a new process. Please refer to the following picture. At first, the window is blank and has no functions. Before conducting network analysis function, we need to prepare Network Data used to operate path. We can utilize Generate Network of Network Analysis Tools or Network Data to generate network data in advance, or just implement Process and conduct Generate Network at the same time. However, we don’t adopt the latter method because we usually need to implement just once to obtain Network Data. Only when the road is renovated will we need to implement the steps above again to obtain the updated Network Data. The picture above shows the window operating Generate Network. We need to input line vector data. Generate Network supports common format like Shapefile or GEO. With the drop-down menu in this window, we can set properties that network data needs and source field of setting value that operation needs. We suggest that you specify path for data output since the default value of Output Network, <Temp>, is used to output data to the temporary path. That might be not easy for users to find out the data while the data is saved in the temporary path. 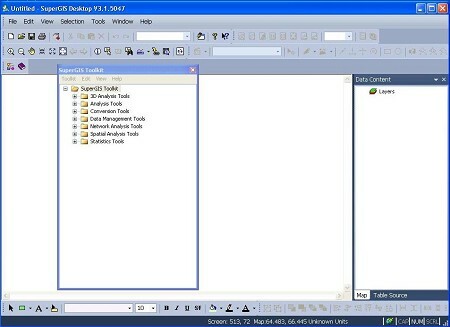 After implementing, the network data is generated and saved in a folder. 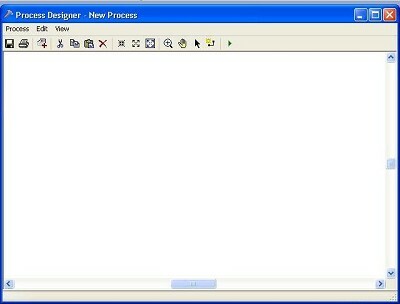 The object we drag and drop into the Process Designer window shows with ash-colored background. We need to complete parameter settings of this function. After finishing parameter settings, the object will display with colored background. Then, we can double click on Shortest Path object to open analysis setting window. Please refer to the following picture. 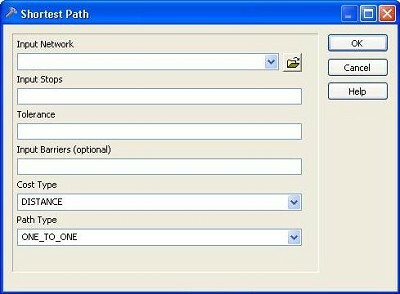 Before conducting this analysis, we need to select parameter from the drop-down menu of Input Network or from the network data folder we just built through browsing the path. Input Stops shows point position information. 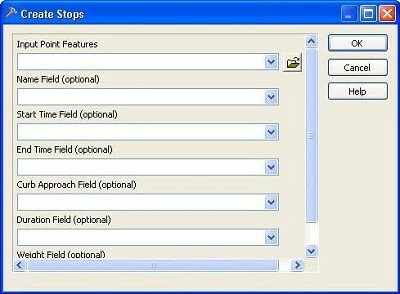 We need Create Stops function under Network Analysis Tools\Locations to generate Stops data before selecting data from drop-down menu of Input Stops. Before we generate Stops data, this field can be skipped. In Tolerance, we can set the tolerant distance from the point position data to the nearest point position. Those point positions that are not in the tolerant distance are not listed in operation. Besides, the distance unit must be the same as the unit of Network Data. “Barriers,” the parameter of optional, ought to be input while we need. Like Stops data, Barriers data is the data in point position type which can be generated by Create Barriers function under Network Analysis Tools\Locations. Cost Type and Path Type are the calculation options which are used to calculate path. 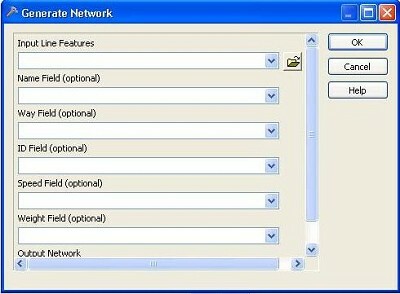 Please refer to SuperGIS Desktop Network Analyst manual to know more about these two calculation options. According to procedures above, we are able to generate result of Shortest Path analysis successfully through the built Network Data, point position data and the parameters we set. And the output result is represented by Output Result object which can be exported as an output for implementing other applications. 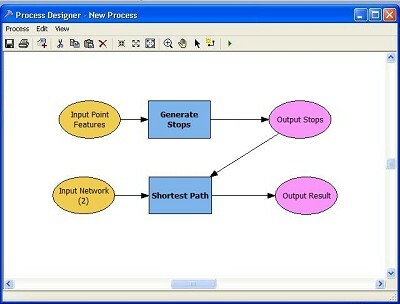 For example, we specify a certain path of the output result and output it as data in Shapefile or Geo format, drag and drop Export To Feature function node under Network Analysis Tools\Route Result into Process Designer window, adopt “Connect” tool to connect “Output Result” and “Input Network” to “Export To Features” object and set output type as True Shape or Straight. 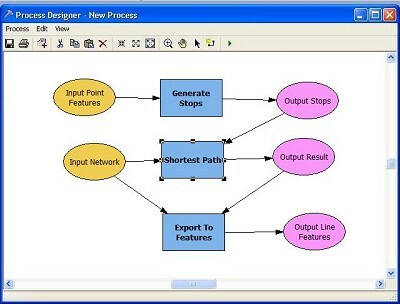 Then we can obtain result of Shortest Path and output the result as vector feature data to the specified location. Process Designer allows us to add other Geoprocessing analysis tools to process this vector data further. Please refer to the following picture to view the whole analysis process of Shortest Path. 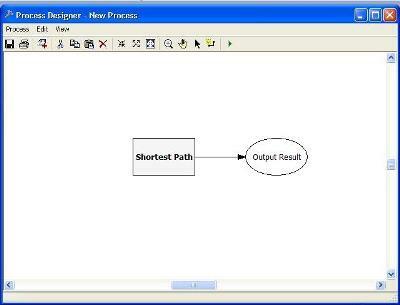 The above description indicates how to create a basic process of path analysis function. To publish this process to the Internet through SuperGIS Server Standard or higher version, please refer to the details in SuperGIS Server manual.